Language services that can help provide clear and concise communication between healthcare industry professionals and the people who use their services is vital to successfully administering medicines and medical care. Therefore, it is imperative that your company use professional translation services for clinical trials documents, presentations, product information, training materials, regulatory affairs documents, articles for specialist publications, patient information leaflets, packaging inserts and labels. 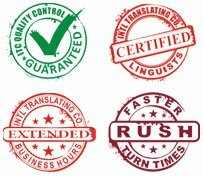 At ITC, we understand the importance of accurate healthcare translations and ensure that all of our linguists and editors are dedicated professionals who strictly comply with all government healthcare rules and regulations, such as HIPPA and HITECH. We also provide medical transcription services, as well as medical phone and face-to-face interpretation services to further assist communication between healthcare professionals and their patients.